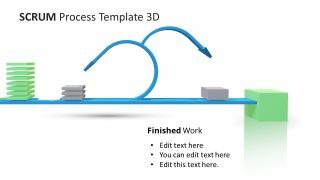 The 3D Animated Scrum Process PowerPoint Template is a complete presentation of project framework. 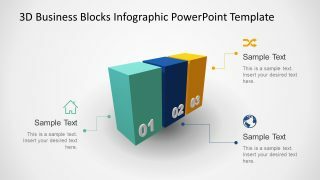 The scrum PowerPoint displays the processes of the framework in a set of 8 slides. 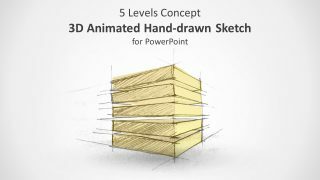 These slides contain the high-quality 3D graphics and animations for comprehensive planning and execution of the project. It is the frequently used term in software development. Because this framework in agile makes it the most effective methodology for the software projects. However, it is a project management framework which works well through teamwork and accountability. 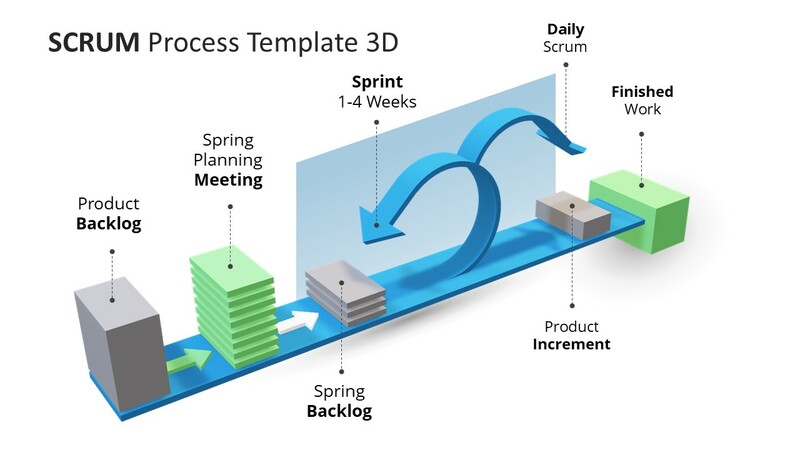 It enables the project team to follow up on deliverable on daily basis as daily scrum. And, deliver the tasks within a timeframe of 30 days iteration i.e. sprint. 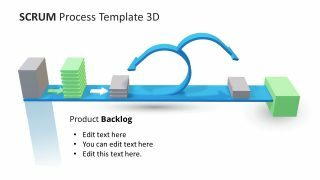 Product backlog: A list of things need to be done within the project. Sprint planning meeting: A meeting between the scrum master, product owner and scrum team to describe the high priority features. 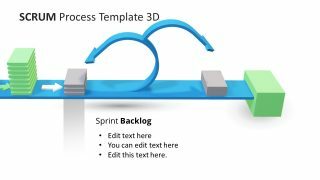 Sprint backlog: A list of tasks defined by the scrum team to deliver within 1 sprint cycle. Sprint (1-4 weeks): A timeframe to complete the task. 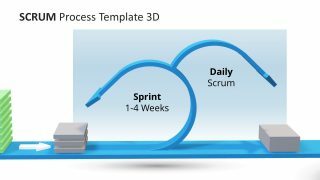 Daily Scrum: A daily team meeting to review work and identify any problem which may halt the project completion. 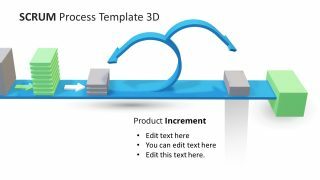 Product Increment: One increment occurs after completing the items from product backlog in one sprint. Finished Work: The items marked-as-completed after the final review. 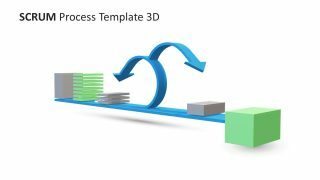 The animated PowerPoint template of 3D scrum layout shows the assembly line of all its processes. 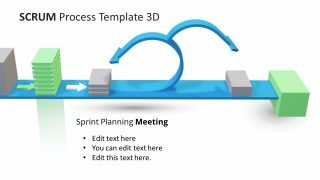 Apart from daily scrum and sprint planning meetings, this template can also assist in learning programs. The project development team and students of project management or software development can easily learn the basics. 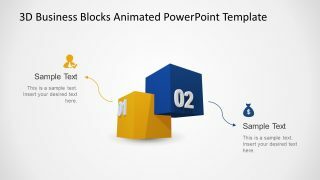 Further, they can memorize the sequence of processes in video mode through animations. 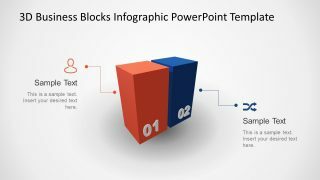 Alternatively, other scrum presentation templates for PowerPoint can be used.